Key Verse: Verse 1 - "Hear me when I call, O God of my righteousness: thou hast enlarged me when I was in distress; have mercy upon me, and hear my prayer." The backdrop of Psalm 4 is a familiar one. David’s son, Absalom, had rebelled against his father. But even in the midst of David’s heartache, David knew that God was with him. He always is. “In 1932, my wife Nettie and I were living in Chicago,” said Thomas A. Dorsey, a black man and a well-known writer of Gospel songs. “We were expecting our first child. En route to St. Louis for a revival meeting, I discovered that I didn’t have my briefcase; and I returned home. Nettie was asleep, so I slipped the briefcase from under the bed and resumed my trip. A few days later, however, the fog lifted from Dorsey’s sorrow-riven soul. 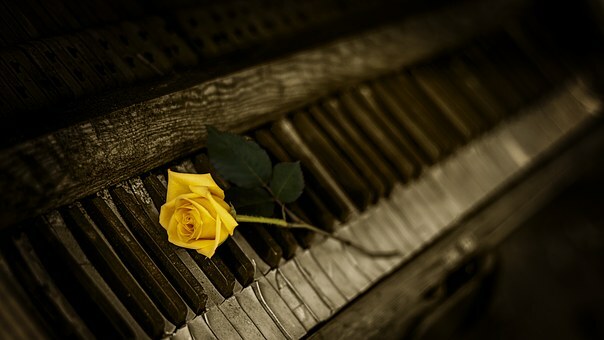 As his fingers moved along the keyboard of his piano, the words of the hymn Precious Lord, Take My Hand came to him. Born in the matrix of overwhelming sorrow, the hymn imparts its sorrow-assuaging message to millions of broken hearts.